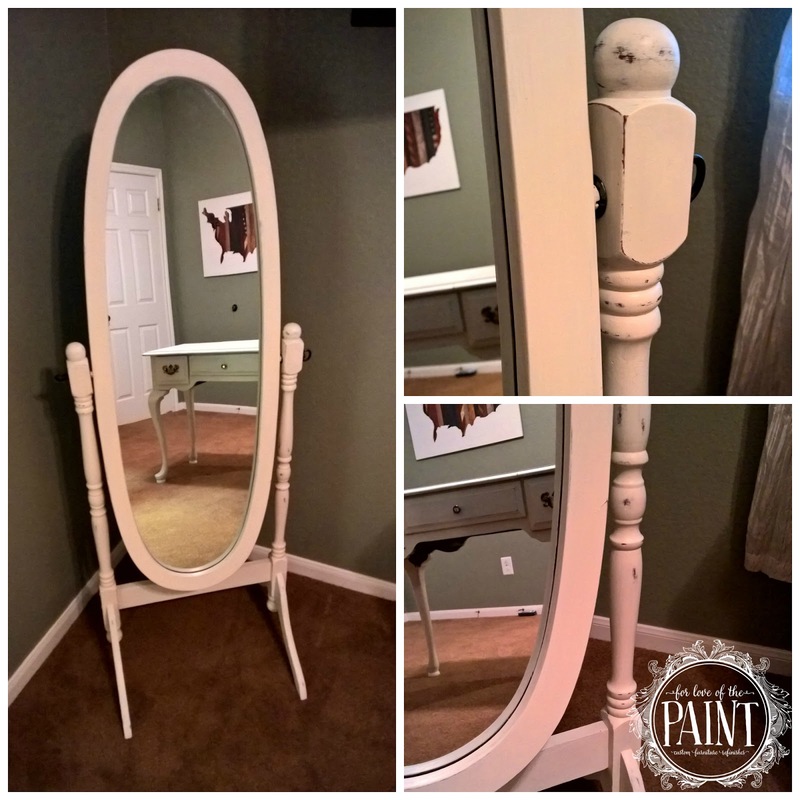 I am so honored when clients select a full suite of furniture to update their new spaces! 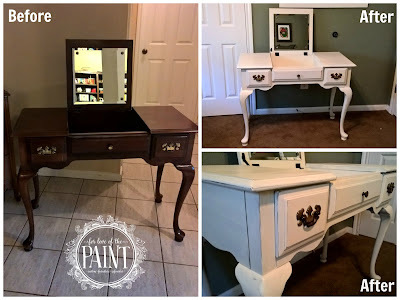 These clients selected a gorgeous 1950's Thomasville vanity as well as a Lexington Queen Anne style flip-top desk/vanity, and a standing mirror. 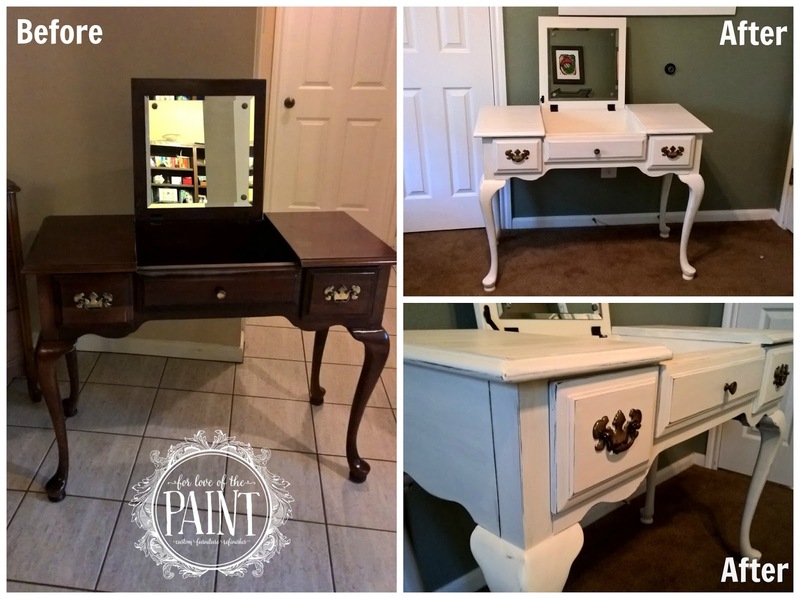 We started with the Thomasville vanity, which they envisioned with creams, taupes, neutral grey/brown, and gold. 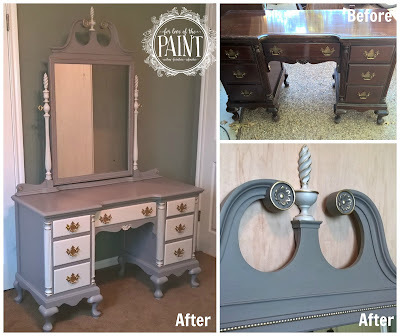 For this project we made two custom blends of Annie Sloan Old White and French Linen - a darker shade on the body and a lighter shade on the drawers. The gilded accents are absolutely STUNNING!! I now want to gild *all the things*!! Next we worked on the Lexington Queen Anne style desk / vanity and a cheval style standing mirror in a gently distressed, shabby chic look. 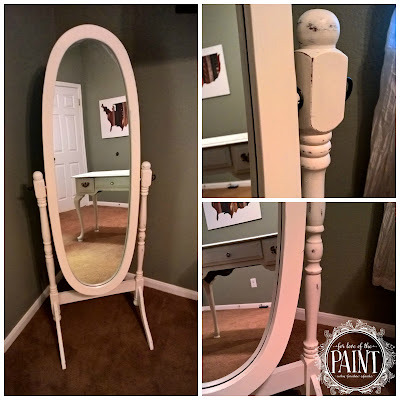 To create this look I used layers of Old White, French Linen, and Coco blended together, then lightly sanded at high points and edges before sealing with Pure Earth Diamond Coat. Since they were in the same color family, I worked on them side by side as a Project Pair. Aren't they lovely? These colors are super classic and will always be chic! Which is your favorite?